District Health Department #10 (DHD#10) staff work every day to ensure our communities are safe and healthy. 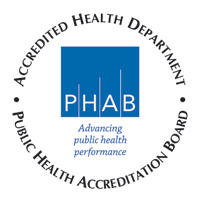 From safe drinking water to immunizations, to healthy babies and breastfeeding, to physical activity and sexual health, and more- we are public health, and we are here to help you live your best life. Follow @DHD#10 on Facebook to see how they celebrate National Public Health Week. Each day of National Public Health Week celebrates a different area of public health, check it out! Where we live, learn, work, worship, and play impacts each of us and can determine our health and life expectancy. Within our communities, let’s start new conversations with our neighbors and become advocates for positive change. Working together, we can build healthier communities and eventually, the healthiest nation. National data show gun-related deaths are on the rise: between 2015-2016, the U.S. was home to nearly 27,400 homicides and nearly 45,000 suicides involving guns. As public health professionals, violence prevention, including gun violence, is part of our jobs. At DHD#10 we have trauma-informed staff to ensure that community-based efforts are creating safe and nurturing environments for all. Unfortunately, those living in rural community’s face challenges such as high chronic disease rates and limited access to primary care services. However, we at DHD#10 know a thing or two about rural health, and we are committed to bridging gaps in community resources and working with local partners to better the health and wellbeing of individuals, families, and communities. At DHD#10 we are regularly using technology. Many of our staff use social media to educate and advocate within our communities. We also use GIS (Geographic Information System) mapping to conduct well and septic permits. This gives us the availability to have an inventory of well and septic systems throughout our jurisdiction. Technology and Public Health is all around you! Help to protect and maintain a healthy planet. Reduce our collective carbon emissions footprint. Transition to renewable energy sources. Protect our natural resources and use evidence-based policy to protect our air, water, and food. Support environmental health efforts that monitor our communities for risks and develop health-promoting interventions. Call for transportation planning that promotes walking, biking, and public transit — it not only reduces climate-related emissions but helps us all stay physically active. America’s health and the world’s health are fundamentally connected. Consider that viruses can travel quickly around the world. Across the globe, communities still struggle with preventable and often-neglected diseases. The World Health Organization’s top 10 threats to global health include pandemic flu, cholera, violent conflict, malaria, malnutrition, and natural disasters. Advocate for everyone’s right to a healthy life. Everyone deserves an opportunity to live a life free from disease and disability. Don’t forget to follow @DHD#10 on Facebook to see how they celebrate National Public Health Week. Find out more about National Public Health Week: http://www.nphw.org.